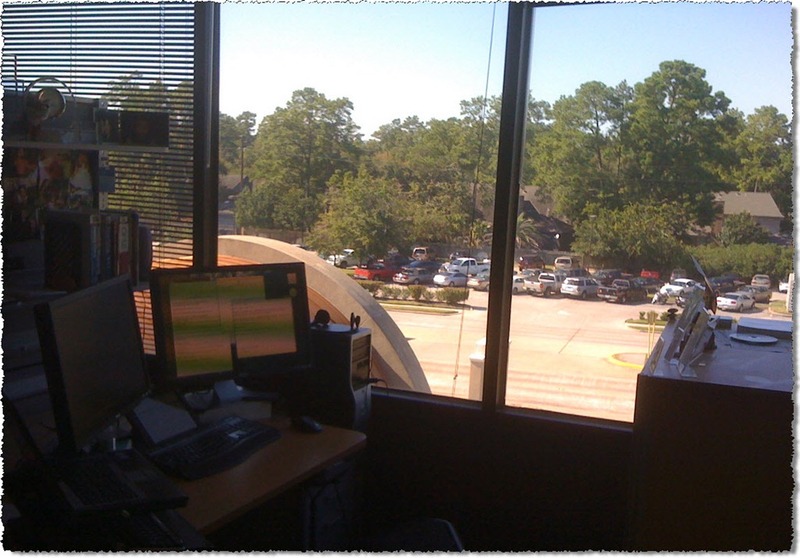 Don’t you ever wonder what somebody else’s work environment look like? I do. I enjoy seeing how people set up their work area, hoping that I can pick up some nice tips. I also notice that very often when we have somebody visiting our offices here (people attending training, clients, etc. ), they are always poking around to check out our work areas. iPad: I usually have my iPad right there with a book, article, or something like that loaded. That way I get to read a few paragraphs here and there, as I wait for a build to complete, for VS to come back to life, or things like that. Of course, there’s also a bunch of pictures there as a reminder to what’s really important, and I also, I have a decent view when the whether is nice outside. 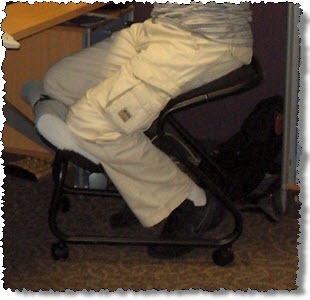 The funky chair: the first time I saw one of those chairs was several years ago, when I client came to our office and brought one of those (he had some bad back problems). I just thought the chair was weird. Then, a few years ago a friend of mine had one of his house that he didn’t use and told me I could have it if I wanted. I said, well, what the hell, let me give it a shot. It felt kind of weird for the first couple of days, but then I got used to it, and now I really miss it when I don’t have it. 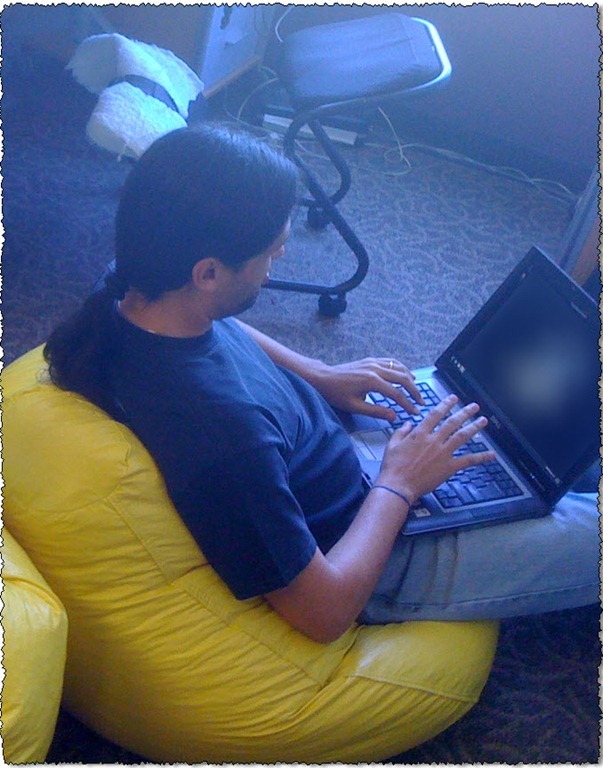 Every once in a while, though, just to do something different, I work for one pomodoro or two sitting on the cool bean bags that we have in the office. Let’s see… what else…. 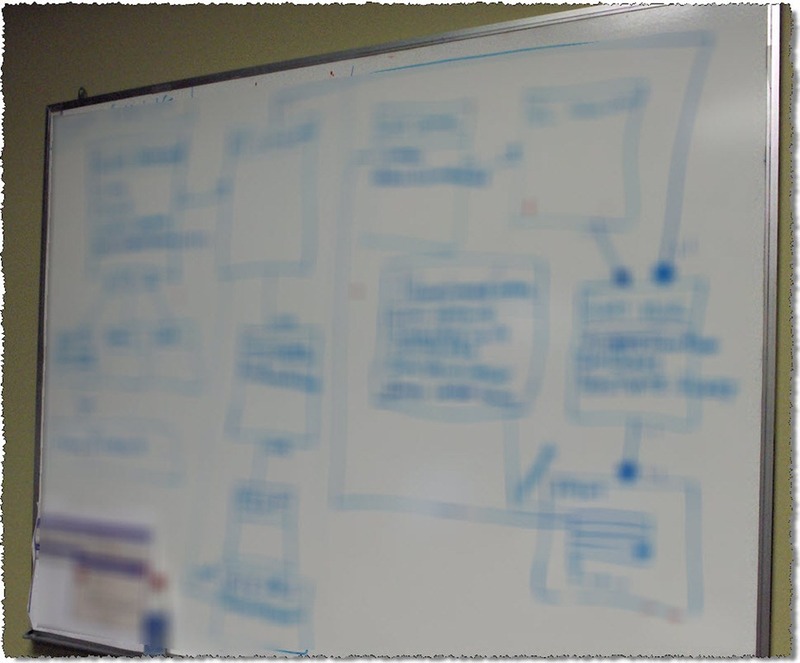 ah, of course, there’s a whiteboard right behind me that I use all the time. I usually walk to it, sketch something out, take a photo with my iPhone and send it straight to Evernote. 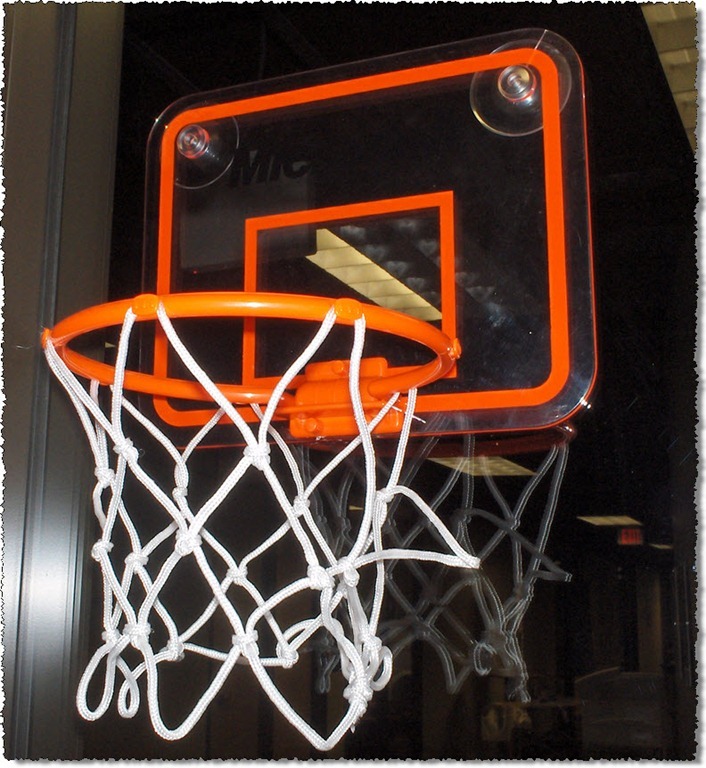 And finally, there’s one of those mini basketball hoops for when I’m taking short breaks. What about you? 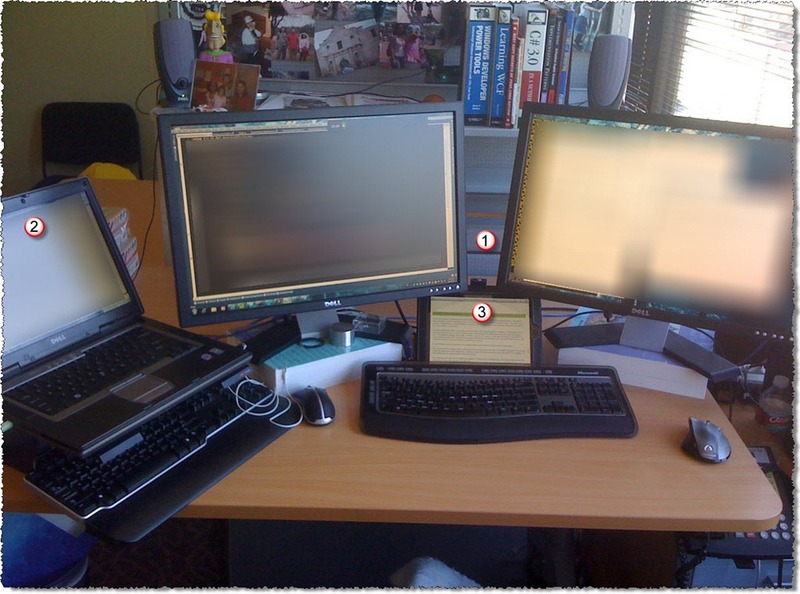 What does your work environment look like? Next week I’ll be delivering two WPF courses at the upcoming CODE Training. In fact, next week will be the “XAML week”. I’ll be doing the Intro to WPF and Silverlight day, and the Building WPF Business Applications day. Make sure to check out the links for more information. There’s still a little time left to sign up. Hope to see some of you next week!